Wow, I can't believe how fast times goes by... just 2 weeks left until my graduation! Well, OUR graduation because Gustavo is also graduating :) It has been a lot of crazy years but, we can finally say we did it! I will never forget all the friends I made through all these years, all the great memories from my different college experiences, all the professors that guided me through my college career and all the people that I worked with at The Health and Services Department in the university. They all taught me A LOT! They helped me grow, both personally and professionally. 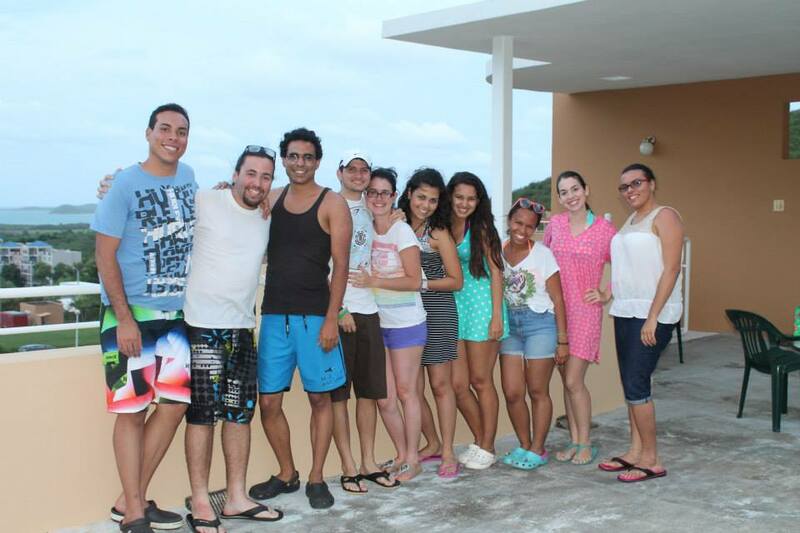 I will miss them all and I will definitely miss my alma mater; the University of Puerto Rico at Mayagüez. Well, besides getting a couple of things done for the graduation day, we went to Chris' apartment at Ceiba last weekend :) Chris is one of Gustavo's best friends. He invited us to spend the day at his apartment with him and his family. Oh, I almost forgot! Remember when I wrote I was going to donate my hair? You may have seen this on my Instagram, but if you didn't, here's my new look! Congratulations on your graduation! So exciting. I love the new hair cut too-super cute! congrats on your upcoming graduation. I love your new haircut, definitely perfect for summer.